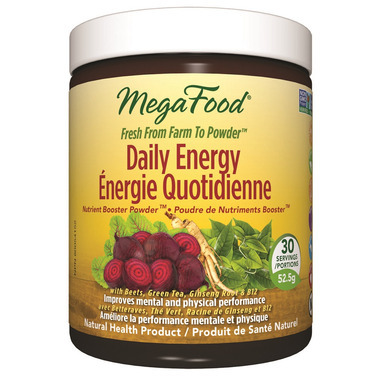 MegaFood Daily Energy Nutrient Booster is made with a blend of beets, green tea, ginseng root and B12. 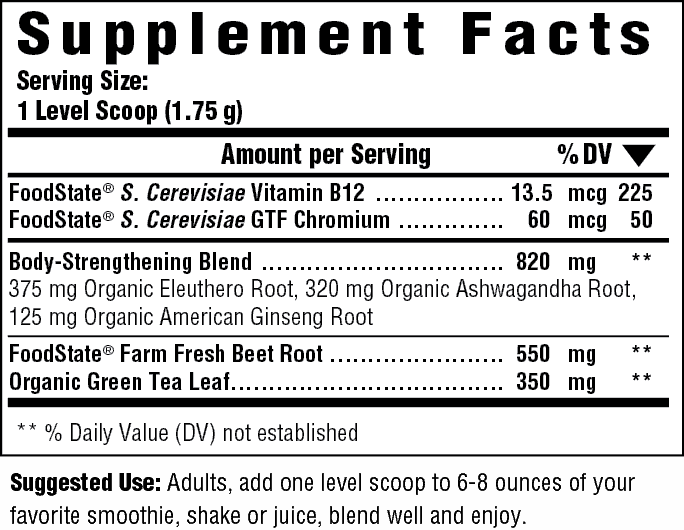 Suggested Use: Add 1 level scoop (1.75g) to 6-8 ounces of your favorite smoothie, shake or juice, blend well and enjoy. I started adding this to my morning smoothie, makes you feel energetic and gets rid of that morning dragging feeling! Don't be surprised by the small packaging, the scoop that comes with it is small as well. It really is a 30 day supply!